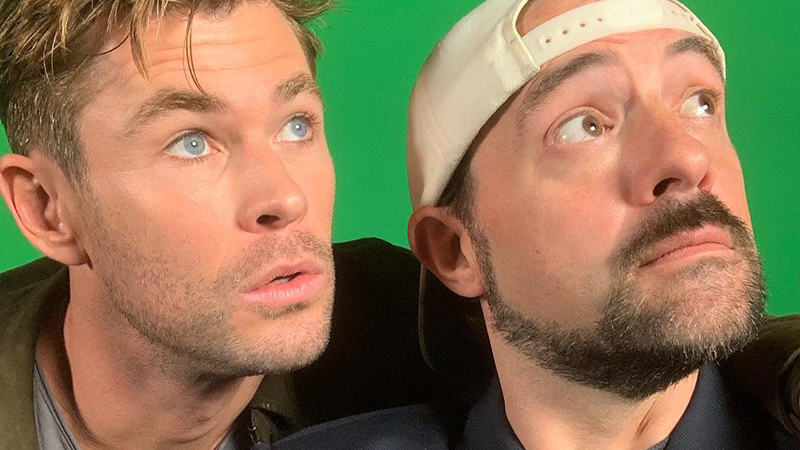 Kevin Smith has revealed that Chris Hemsworth ( ) will be making an appearance in the upcoming Jay and Silent Bob Reboot. You can check out Smith and Hemsworth’s posts teasing the collaboration below! July 18, 2016 at 1:58 PM Chris Hemsworth's Wife Elsa Pataky Jumps Out Of A Private Jet In Honor Of Her 40th Birthday!